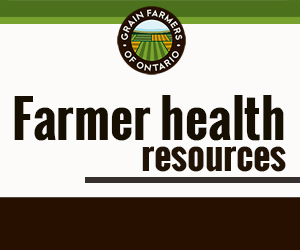 GUELPH, ON (April 26, 2011) – A new study released by the Grain Farmers of Ontario should put an end to the ongoing debate of whether the grain we grow should be used for food or fuel. We can and should do both. 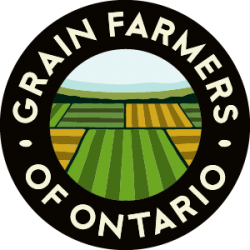 The abundance of grain grown by farmers around the world and here in Ontario can both protect the environment and feed the world. As farm yields climb and investments are made in farm production in the developing world, feeding and fueling the world can even be done cost effectively. According to the study by Dr. Terry Daynard and KD Communications, by including an average of just 5% ethanol in regular gasoline, Canadians are reducing greenhouse gas emissions by 2.3 million tonnes annually while saving money. Five percent ethanol blending has reduced annual family gasoline expenditures by more than $100 per year. Ethanol is also credited with replacing hazardous compounds in gasoline used for octane enhancement and increasing engine efficiency. There is also good news for the world’s food supply. Food demands around the world are growing by 1.1% per year according to the Food and Agriculture Organization of the United Nations. Fortunately, the Grain Farmers of Ontario study reveals that global grain production has increased by 1.5% per year over the past 20 years. With increasing resources now being directed to agricultural development in some of the world’s hungriest countries, especially in Africa, there is optimism that we will continue to grow the crops and increase production where the need is greatest. “Quite frankly, it is a relief for us to learn that production of biofuels, like ethanol, here in Ontario makes such a positive contribution to our environment without any notable impact on overall food prices and the world’s ability to supply food,” says Barry Senft, CEO for Grain Farmers of Ontario. “Regardless of this discussion, our farmers are dedicated to growing a sufficient supply of food for Canadian families”.